Further to the previous post on Your SharePoint Training Path, it would be prudent to manage expectation a little on the timeframes of the up-skill path. To become a fully fledged and truly self proficient Site Collection Administrator will take approximately one year of full time mentorship and training. To become a Records Management Specialist, look at 2 years minimum – and that’s being very conservative unless you are doing this full time. 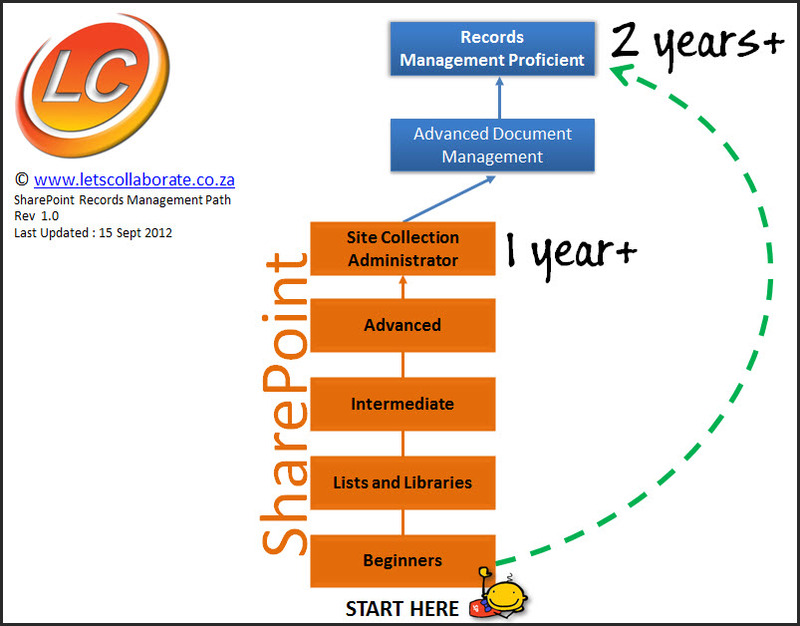 There is a lot to learn from a business and SharePoint perspective and it takes over year before the lights truly go on. You will know it when it happens. In the meantime, don’t give up. Learn something new every day. By the time you get to Site Collection Administrator level, you will know what you are good at and what you want to specialise in. It doesn’t happen overnight, but it will happen if you persevere.